This project required many days of R&D by the Art Director Will Field before it even Reached us. 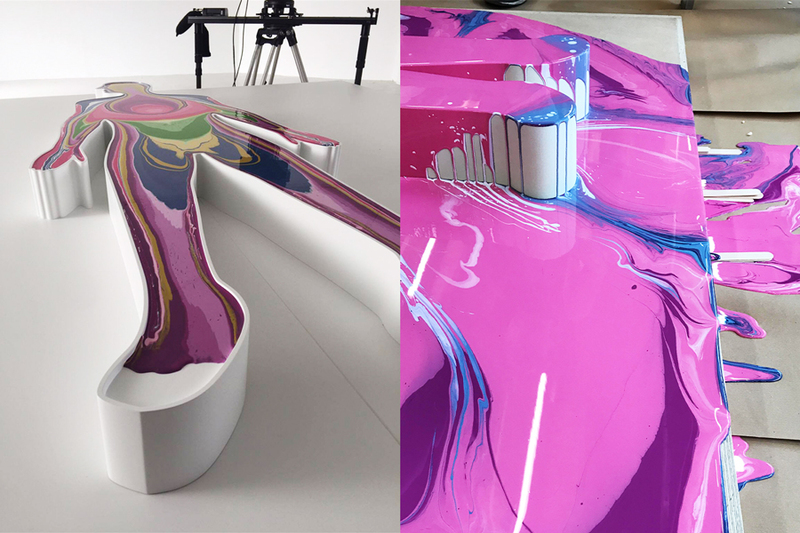 We started this R&D with various CNC machined male figures in chemi-wood and extensive experimentation to test the best ways to pour paint and establish the shot needed. After many tests we concluded that water based paint was perfect to get the desired effect. The hero man was machined in chemi-wood and sprayed flat white and was mounted on an 8ft x 8ft mdf plinth in flat white. The finished effect was a stunning moving art installation.